Aptech Aviation & Hospitality Academy was nominated in the 'Best Aviation Academy' category in the BIG BRANDS RESEARCH-Service Excellence Award. Chetan Bhagat, Honorable Guest at BIG BRANDS RESEARCH-Service Excellence Award Ceremony, presented the award to Mr. Ravi Dighe, Executive VP, & Ashok Chawla, Marketing & Channel Support (Aptech Aviation & Hospitality Academy). 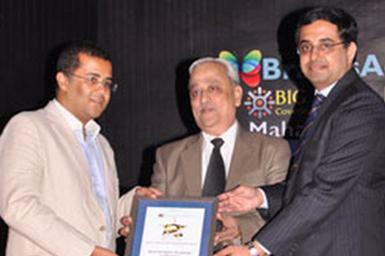 The Award Ceremony was held on Saturday, August 27, 2011 at Hotel Holiday INN, Mumbai. Kudos to the Aviation team!